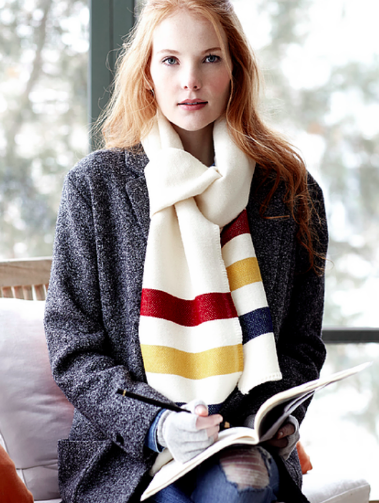 Winter is the greatest excuse to bundle up and stay warm. It’s more than sweater weather, it’s time for cashmere, corduroy and giant cable knit wool wraps. When I pulled this wardrobe it came in from all over the world. The wrap is from VOZ, a corporation supporting indigenous artisans from Chile – one of our favorite places on the planet! When creating editorials we are always searching for items out of season. As the saying goes “Christmas in July” is common occurrence no matter what season we are shooting. Luckily the world is our oyster and I was able to find this gorgeous scarf from Russia. 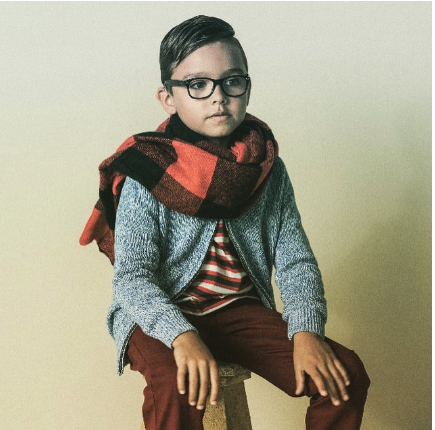 One winter not too long ago Photographer John Haynes and I hunkered down to create a kid’s wardrobe editorial. This guy was so cute and very patient with us. I can see we captured his tapping left pointer finger while we shot. The scarf I remember was from Target. We love oversized Buffalo plaid! Oh, the lower east side of Manhattan – how much do we miss you! This lovely fur collar was carefully packed and brought all the way to our fifth floor walk up apartment. That rusty old pipe in the background had a language all its own groaning and creaking through the cold days and nights. We were so blessed to have @adamartini as our model and muse for our editorial. This was probably the iciest photo shoot I was ever on. The sidewalk to the cute house in the Minneapolis Lake Forest neighborhood was so iced over we decided to truck through the snowdrifts. I think I carried up fifteen trips of props and wardrobe while our assistants did the same. We didn’t need a coat or scarf after that load in but our talent Abby Ashbacher @mooretalent sure did! What is Luxury? Can it be eaten?